Perfect for sightseeing, this 5-star hotel offers complete value to your money with fantastic rooms, excellent room service and wholesome breakfast is an ideal accommodation for couples, families and friends. The hotel enjoys an enviable location with lots of attractions and shopping malls close by and the food at the restaurant is reasonably priced. 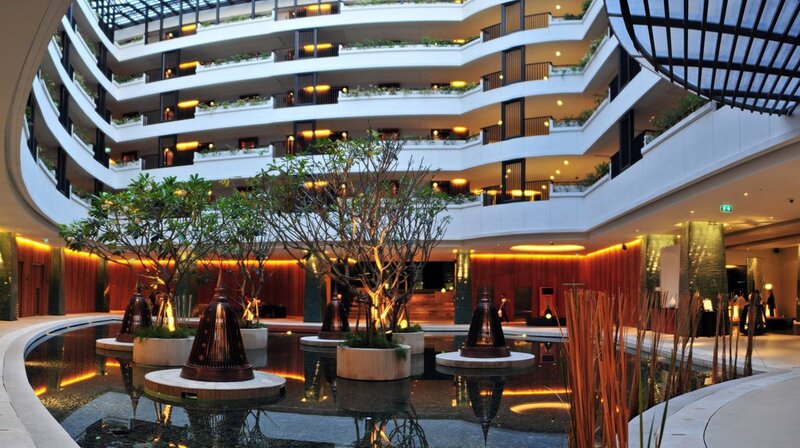 Millennium Resort Patong Phuket is a luxury 5-star accommodation in Patong, Phuket. Surrounded by tropical landscapes, this hotel is ideal for families, business travelers and honeymooners planning to spend a great holiday in Phuket. 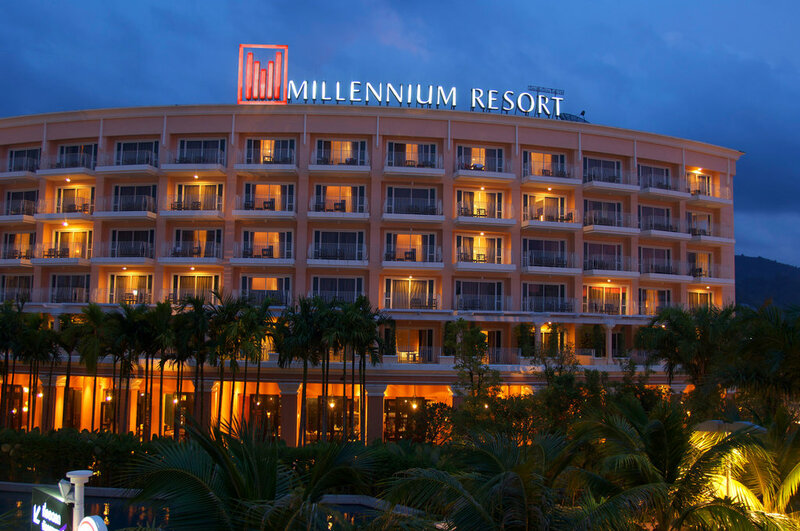 Millennium Resort Patong Phuket features a grand ballroom, 9 meeting rooms, 2 outdoor swimming pools, open spaces for arranging events, a fitness centre and a spa for its guests to enjoy a luxurious stay. Millennium Resort Patong Phuket is a beach hotel and is close to the famous Patong Beach. The hotel is well-equipped with all the functional amenities and services. The rooms at Millennium Resort Patong Phuket are well-furnished and come with all the necessary facilities for the convenience of the guests. Further, tourists can also visit the nearby attractions. Some of them include Phuket Zoo, Phuket FantaSea and Banana Walk. Want best Phuket Packages with this Hotel? Millennium Resort Patong offers its guests a variety of accommodation options. The rooms at the hotel are beautifully designed with warm hues and contemporary furnishings. Each room features a private balcony overlooking the splendid vistas of nature and the swimming pool. One can choose Cabana Rooms, which come with a personal Jacuzzi and give a direct access to the pool. Guests can also enjoy some leisure time at the private terrace area, which is designed to help one relax and unwind. Further, all the rooms are well-equipped with LED TV sets, wardrobes, air-conditioners, a minibar, tea/coffee makers, free access to Wi-Fi and other necessary amenities. Millennium Resort Patong Phuket is equipped with several business facilities. The hotel houses 9 meeting rooms, which are ideal for organizing conferences, meetings, weddings and banquets. The hotel has their own meeting and wedding planners who take care of all the requirements of the event and ensure that it runs smoothly. Further, there is an in-house fitness centre where guests can keep a check on their fitness regime. The hotel also features a spa where one can indulge in a full range of therapeutic massages and beauty treatments. By residing at Millennium Resort Patong Phuket, guests can experience a phenomenal dining experience. The hotel houses 2 restaurants, namely The Bistro and Straits Dining Thai Restaurant. At Bistro one can enjoy delicious international and seafood buffet in an open-air setting throughout the day. Further, those who want to savour some authentic Thai cuisine can head to Straits Dining Thai Restaurant. The hotel also features 2 bars, which are Level 4 Poolside and Bar 8 Degrees. Guests can enjoy their drinks by sitting along the poolside. Tourists can also unwind at Lounge 98 and choose from a wide range of menu of cocktails. With efficient and trained staff members, Millennium Resort Patong Phuket offers a comfortable stay to all its patrons. Further, tourists can also visit Jungceylon Shopping Mall and collect some souvenirs for their dear ones. Also, the modern and contemporary design of the hotel is an ideal location for vacationers. How much time does it take to reach the International Airport from the hotel? The hotel is approximately 45 minutes drive from Phuket International Airport. Does the hotel provide an airport shuttle service to the guests? Yes, the hotel provides airport shuttle services to all the guests. What are the activities that one can ponder to in and around the hotel? Millennium Resort Patong offers its guests a variety of activities and experiences, such as indulging spa sessions, visiting Patong Beach and exploring the area and the local markets. Is a complimentary breakfast offered at the hotel? Yes, breakfast at Millennium Resort Patong Phuket is included in the price. The Bistro is the in-house restaurant of the hotel, which offers exotic breakfast to the guests. Yes, laundry service is provided at the hotel. Millennium Resort Patong is a beachfront hotel in Patong and is a perfect host of exemplary services. The hotel features a lush tropical garden, 2 outdoor swimming pools, wellness and fitness centre and large well-maintained rooms and suites. Further, 2 restaurants, bars and lounge at the property allow the guests to enjoy scrumptious Thai cuisine in an open-air setting overlooking the views of tropical gardens and pools. At Millennium Resort Patong guests can learn how to make Thai dishes under the guidance of skilled chefs. Further, the hotel is an ideal choice for those who are planning for a beach wedding. Located in the vicinity of Patong Beach, Millennium Resort Patong Phuket promises to offer a perfect wedding with the help of wedding planners who will take care of all the nitty-gritty details. Further, the hotel is also close to Jungceylon shopping centre, which is the shopping hub of Phuket. Wildlife enthusiasts can also visit Phuket Zoo and catch a glimpse of exotic species of flora and fauna. Thus, combined with impeccable facilities and various recreational activities, Millennium Resort Patong is a perfect choice for spending the vacations in Phuket.